This fun, free 8-session program is for seniors at all balance levels--those whose concerns compromise their ability to confidently move around; those who have experienced an injury from a fall that has resulted in limited physical and social activity; those who haven't fallen but can benefit from learning practical strategies to address everyday risks. Participants identify individual solutions to challenges and concerns. 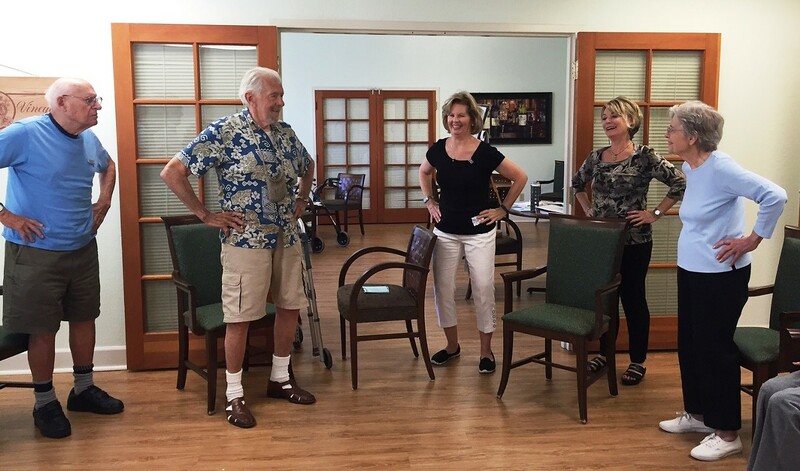 Chair exercises focus on building strength, flexibility and endurance. Space is limited. Call to enroll.